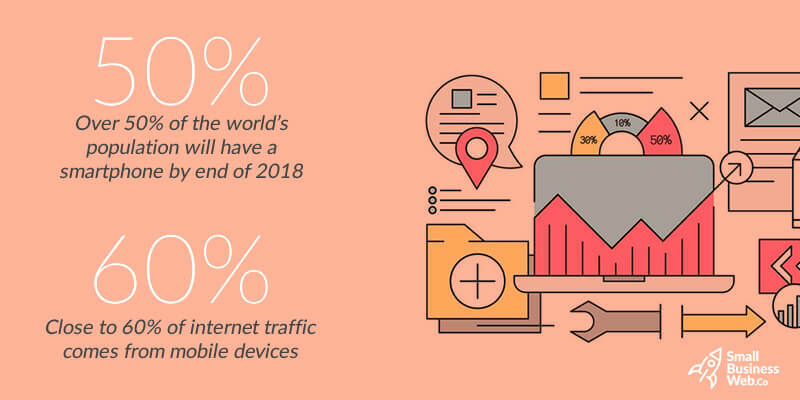 As recently as beginning of 2018, over 40% small businesses worldwide did not have a website for themselves. If you are one of them, this post will tell you why you need to get one ASAP. If you are in the 60% that does have a website, this post will tell you why just having a website is not enough. You need to make it work for you. 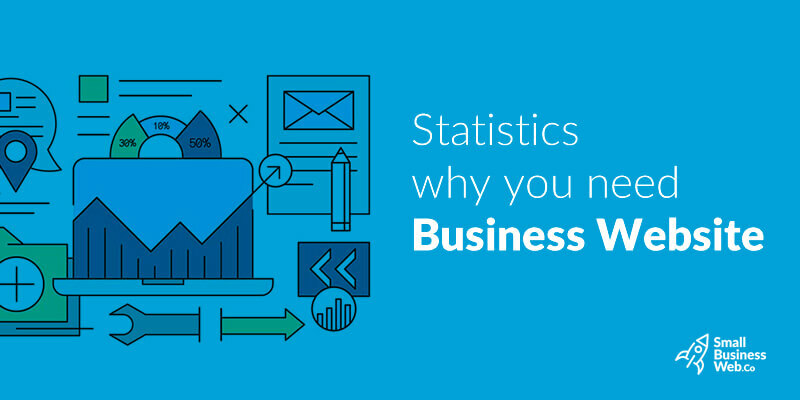 First off, here are some general statistics vis-a-vis small businesses and websites. Even in this age of continuous internet connectivity, over 30% of small businesses that don’t have a website, feel that they don’t really need one. It doesn’t seem relevant to their industry! Another 30% are happy just using social media without a website. A quarter of such businesses lack technical knowledge to set up a website and a similar percentage thinks it won’t have the finances or the people to take care of something like a website. Whatever be the reason, the outcome is that such businesses are losing out on potential customers. Why? Because 80% of customer to business engagement is happening online these days. 8 out of 10 customers are likely to engage with your business if it has a website. The instinct is to look for a website rather than just a phone number on an online directory. If you have a website that has the same phone number, you are authentic. Else customer is most likely to go to your competitor who has a website. There may be a segment of consumers who have time only at night or even early morning to get to know your business. These are hours when your office or shop is closed. But it need not be inaccessible. That is what a website does for you. It keeps your business accessible 24/7. Suppose you are a skiing instructor.Someone is planning a ski trip over dinner. They want lessons before the trip. They cannot pick up the phone and call you at 8 PM to find out the schedule! But if you have a website that told them when and how they could book classes, then there is a very good chance that you could have gained new students when you come to office the next day. Buying holiday gifts for family is as much of a financial commitment as buying a car. People want to know they are getting value for money. So, they want to know more about your business and the products you sell. Your website is the place where you can tell them more about yourself and your products. Through thorough product descriptions and pricing, through blogs about how to use the products. Remember, that almost every customer these days looks for online reviews about businesses before approaching them. Your website can help you build a good reputation online. People are looking for businesses on their handheld devices – mobile phones, smartphones – and if you have a website that is optimized for local searches and mobile devices, more that 80% consumers are likely to visit your establishment within a day. The conversion rate of lead to sale is higher than 50% in such cases. 80% of smartphone users use the internet for shopping research. 88% online shoppers read reviews before buying products online. 58% of revenue of online sales comes from mobile users. So, you ask, what’s the shocking statistics? As recently as end of 2017, 74% of small business websites did not have ecommerce. The websites did nothing except give customers information about what the business did, how to call them and that’s about it. You may argue that you are an auto mechanic with a small set up in a small town. People have to bring their cars to you for service. What can you sell online? You can sell motor oil for one thing or car shampoo. Even flannel cloth for wiping the dust off cars. You can sell vouchers and discount coupons. You make a product sale online, you can rest assured that your customer will never forget your shop when it is time for the next wheel alignment check. Your small business website is your most cost-effective marketing tool. A customized, well-marketed, highly functional and responsive website increases your chances of making sales. Your consumers are online and they want businesses to be online as well. More than 80% consumers spend at least an hour a day on social media, most notably Facebook. 93% businesses use social media content as their primary marketing strategy. That means, you have a lot of competition already! Email marketing has the highest ROI (0ver 120%) among all internet marketing strategies. People are more likely to respond to emails when they are tied back to a professional website. 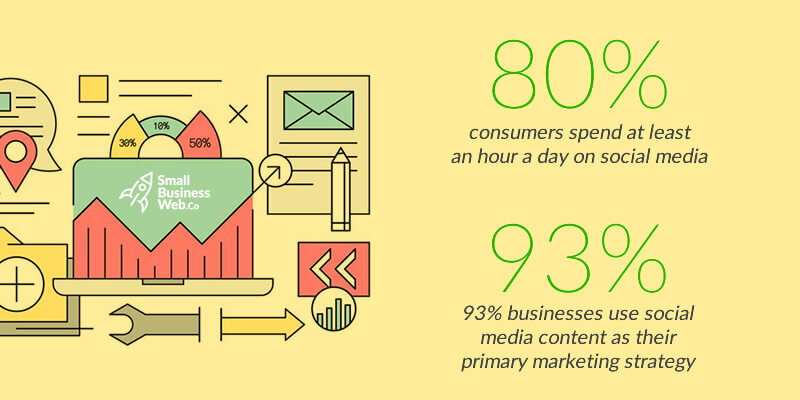 Businesses are increasingly devoting time and money to content marketing. Content in the form of blogs and videos are highly popular among consumers. In fact over 70% of internet traffic in the recent times has been videos with YouTube as the leading platform. Again, your business videos on YouTube will generate sales only when the video leads viewers back to your small business website. Businesses that invest in content marketing are already seeing results and close to 20% of small businesses plan to add content marketing in their marketing budgets in 2018. Small businesses struggle with lead generation. Close to 70% small businesses find it difficult to find new leads and close to 80% of generated leads don’t get converted. The reason is the inability to nurture the leads. Your small business website can effectively help in both lead generation and lead conversion. If your website is able to answer queries that consumers are asking online, it is an instant lead generator. Content marketing, social media marketing and SEO can aid in this. Once you get a website visitor, you must keep them engaged on the website long enough to make a sale. This is done through content management, excellent user experience via interactive and high-functional features on the website. Your small business website can be made into the tool that closes the lead nurturing gap. You can create a website and you can also market it yourself but these are activities that take your time away from your business. Also, it means that you need to get up-to-date with the latest SEO and digital marketing strategies. You also need to devote time to social media engagement. Getting expert help saves you time and it also saves you money. Website maintenance companies have experts to handle everything from user experience to online marketing strategy and they can do these things dedicatedly. And you need dedicated personnel for SEO, content development, and digital marketing if your high-quality website must get you the ROI that you desire. Professional companies can do that for you, while you focus on core business strategies.